Do you have Windows 8 Pro? Interested in getting the Media Center Pack? 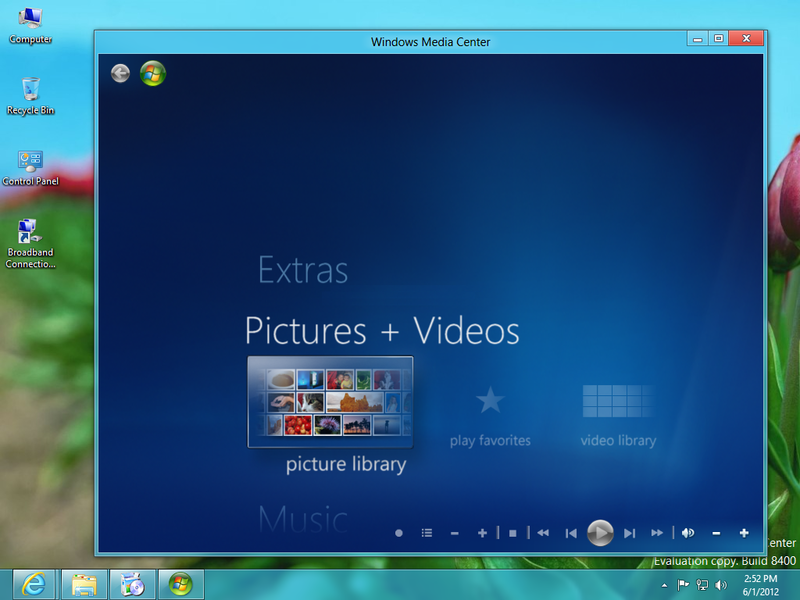 It’s essentially the same technology from the Windows 7 Media Center made available on Windows 8. Normally a pay-for product, we are making it available for free for Windows 8 Pro users UNTIL JANUARY 31, 2013. * Offer valid from October 26, 2012, until January 31, 2013, and is limited to five licenses per customer per promotion. To install Windows 8 Pro Pack, you must be running Windows 8. Internet access fees may apply. Prices shown are estimated retail prices; actual price may vary by retailer. If you purchase a new PC with Windows 8 preinstalled and you later upgrade that PC with Windows 8 Pro Pack, Windows 8 Media Center Pack, a volume license edition, or a retail edition, you will no longer be able to install apps that are provided exclusively from your PC manufacturer through the Windows Store. Get the full details on our special offers. ** Windows 8 Media Center Pack is available at no charge for a limited time only through this promotional page on Windows.com. If you obtain Windows 8 Media Center Pack through any other location fees might apply. Offer valid from October 26, 2012, until January 31, 2013, and is limited to one product key per email address. You qualify for this promotion if your PC is running Windows 8 Pro. Additional hardware may be required to watch and record live TV. You must provide a valid email address to receive your Windows 8 Media Center Pack product key. Your product key must be activated no later than January 31, 2013. Microsoft will only contact you at the email address you provide to send you your product key and to remind you when the activation period for your product key is ending. Catalysis Corporation is a third-party company we use to collect subscription information and process the delivery of these emails. If you purchase a new PC with Windows 8 preinstalled and you later upgrade that PC with Windows 8 Pro Pack, Windows 8 Media Center Pack, a volume license edition, or a retail edition, you will no longer be able to install apps that are provided exclusively from your PC manufacturer through the Windows Store. Get the full details on our special offers.